We are now in an era when most people rely on technology. It evolves at a very quick rate so there is a crucial need to be always updated. That demand also opens an avenue for tech bloggers to consistently make contents about how tech advances. If you are that kind of blogger, then Ale Bom is the right template for you. But, even if your content is more of lifestyle or about blogging in general, you still might find Ale Bom good for you. What is the Navigation Layout of Ale Boom? The navigation layout is often overlooked by bloggers. It has an important role in providing the audience with the best user experience. The navigation menu bar is visible at the top of the contents making important sections of your blog easily accessible. You do not have to worry whether your reader is using a computer or a phone. 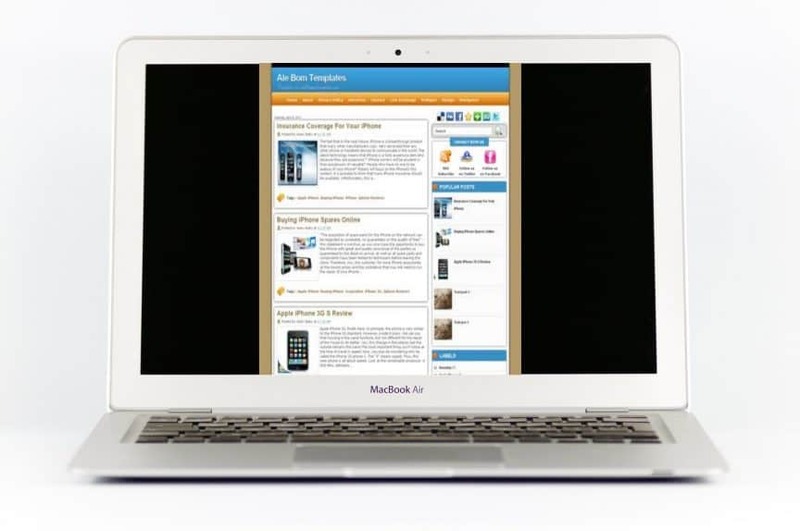 Its responsive design adapts to the type of screen of the device being used. What is the suitable blog for Ale Bom? Lifestyle and tech blogs are suitable for the Ale Bom template. This XML blogger template has an outstanding web design that can get your audience hooked. When you use this template strategically, you will surely drive a lot of traffic to your blog. Ale Bom has an advertising space! We cannot deny that a good website traffic can help the bloggers earn money through selling their own products or brand. But that’s not the only catch! They can also make available some ad spaces as another source of revenue or as a main source of revenue for blogs meant for advertising. The good number of traffic gives a better chance for advertisers to get noticed and for you, better income. If you are quite concerned with the advertising space, you do not have to worry! This blogger template has ad spaces that are strategically placed all over the web page. Without a doubt, your content can catch your audience’s attention and drive them to the posted ads. Would you download this FREE XML Blogger Template? Well, why not? Download this template now. Then, have fun playing around with the navigation layout until you are satisfied and certain that it can draw attention to your blog. Publish good contents and tell the world what they should know about your blogging lifestyle or tech updates. Enjoy the heavy traffic being driven to your blog. You know what that traffic can bring! The best thing about this is – it’s FREE. Download now! Ale Bom	Overall rating:	0	out of 5 based on 0	reviews. For pages that are almost there!